Interested to dance for the Lord? For Tambourine Dance coaching/practice, please contact Honey Belmonte. Offer your talent to the Lord and join the Praise and Worship Team. Please contact Mr. Avinson Matro if you are interested to dance for the Lord? 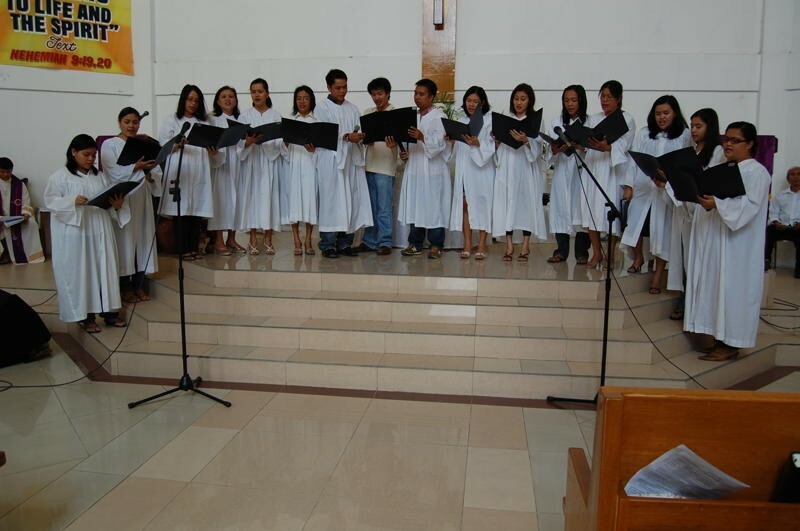 All of SCCD’s Music Ministry are under a pool of choir conductors namely Ms. Liza Ranieses, Mr. Roel Sapida, Ms. Winnie Cruz and the latest addition, Ms. Beulah Dumasig..
Ms. Beulah Dumasig is the newest addition to our Music Ministr. 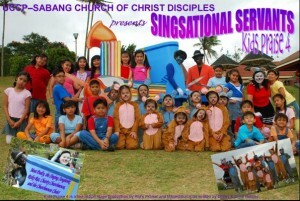 Together with Ms. Liza Ranieses who leads the Kids Choir and Ms. Winnie Cruz who holds the baton for the CYF Choir. 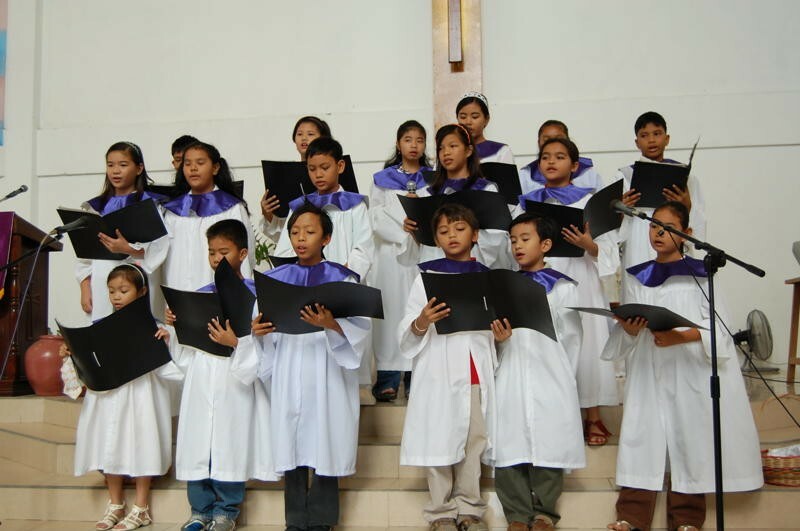 Ma’am Beulah is a professor from Philippine Missionary Institute and has been our answered prayer since we lifted up our request to the Lord to handle the SCCD’s Chancel Choir. Mr Roel Sapida is still handling all the Singing Groups during special occasions like Church Anniversaries or concerts. Let us continue to praise and worship God through music. The “Singsational Servants” Jesus’ Kids Choir Concert in March, 2009 led by Choir Conductor Liza Ranieses and Director Teena Saquilayan provided avenue for children to hone their talents and set up the Children’s Ministry Development Fund (CMDF).